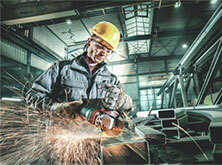 The development of Metabo's battery packs is based on the Ultra-M-Technology. This guarantees a perfect interplay of machine, battery pack and charger. 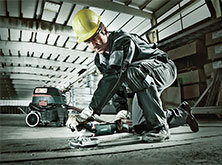 By virtue of the AIR COOLED charging technology, Metabo battery packs are fully charged again in no time at all. Your benefits: efficient and gentle charging, optimum energy utilisation and extremely long service life. 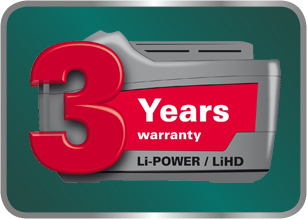 No matter if Metabo Li-ION battery packs or the new Metabo LiHD battery packs - thanks to the unique Ultra-M-Technology, Metabo grants you a 3-year warranty on battery packs. Never has high performance been so compact. A milestone in battery pack technology. The Metabo Ultra-M Technology defines the optimum synchronisation and perfect communication between machine motor, battery pack and charger.